This was first featured on Space Wolves Blog in 2015 which is now lost to the warp. In an effort to retain the information we have republished it here. Space Wolves are placing and winning in tourneys all the time right now but it takes a very very redundant list that only the most competitive player would bother running or collecting. It’s not unusual to see 20 thunderwolves and 15-20 fenrisian/cyberwolves in a 1850-2000 point competitive game. 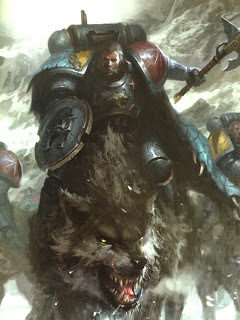 Most players want diversity and to run their favourite units etc, so they don’t generally run just Calvary and Iron Priests with Cyberwolves. 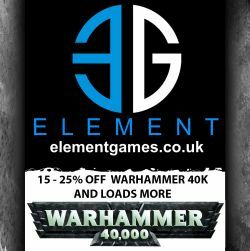 That being said, Thunderstar is one of the most competitive lists out right now and is one of the least effected by D weapon spam or Necrons or superheavies. The idea is to put a ironpriest out front of each of the three Calvalry packs. Cyberwolves touching him and putting their toes in cover if able. You put the wolf lord and Sanguinary Priest in the pack in the centre, spread out all 3 packs evenly. 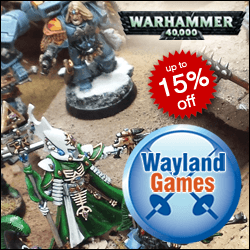 On your turn you can choose to run all the packs forward or leave one or two of the side ones behind to deal with units that will run away, like Eldar. Either way, you move the middle unit forward and break the Iron Priests off the side units and join them to the middle one. 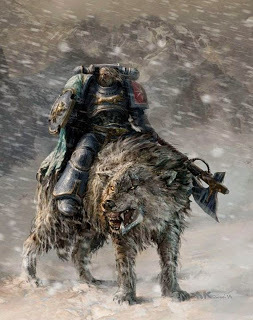 Make sure the Iron Priests are out front and that cyber wolves are touching them (hopefully in cover) the Iron Priests tank all wounds with their 2+ save and 5+ FnP one at a time or look out sir2+ ap 2/1 weapons to the Cyberwolves. This is extremely powerful. There’s no way in hell an opponent is killing all three Priests and their wolves before they get in combat, when one dies the next resumes as tank. If none are left, the wolf lord tanks with his wolves. The joy is also late game you can split the Iron Priests off into their own powerful little units and go from 3 to 6 and potentially 8 fast moving units to steal objectives and claim the board when you’ve crippled your opponent with your deathstars. Its dirty. Space Wolves are very competitive right now but you have to cheese to hang with the top dogs in a competitive setting. Where Does the Sanguinary Priest Go Exactly? With the wolf lords super pack in the centre unit. The two Iron Priests on the side packs also join the middle unit once it’s the Space Wolves players turn to make a super Death Star. They only start in the other packs to keep them safe from turn one shooting. Any weaknesses in this list? Two. Flyers, and The Lord of Skulls. But they’re not really weaknesses. See, if your opponent isn’t spamming flyers, you can just ignore them and kill all their forces on the ground. Then grab objectives. These units are supremely tough and have enough wounds to weather damn near anything. And if your opponent IS spamming flyers, you’re likely to win the game because you’ll have board control on the ground and have all the objectives. You just need to survive. What About Super Shooty Armies Like Tau? This list makes a mess of Tau. It’s in combat by turn 2 and is taking shots 1 at a time with a 2+ roll and Feel No Pain and 14 wounds in just wolves again with Feel No Pain. When you’re in combat, Tau are hitting on 5s and wounding on 6s and you can take those wounds on the iron priest for a 2+ armour. They have ONE turn to do the damage they need to against this list, then all three packs multi assault and win the game. It’s so dirty against Tau, it screws their whole play style. And since Tau are so weak, you can multi assault without worrying about losing the bonus for charging. They’ll still die in a round of combat. Not even including the other two packs and their 24 T5 3++ wounds. Just saying. How does it do against the dreaded D Weapons? D doesn’t remove anymore. It’s D6+6 wounds, and a D attack may only ever kill one model no matter how many wounds it causes cause they don’t spill over. Basically, sacrifice cyberwolves per D hot and laugh at your opponent who spent X many points to kill a few cyberwolves before his big D machine dies. Also, you still get invulnerable saves against the wounds if something else has to take the hit. However, there are units Calvary cannot catch, such as jet bikes. So you’ll have to run the deathstar forward and leave one or two of the side packs back or mid field so that these units cannot escape and kite you all over the board once you’ve killed everything else. You only need to get the charge off once though. Calvary have a 20-21 inch effective threat range with a 12 inch movement and Fleet. I should also mention that there’s a problem with a Bike in a Calvary unit. It’s unclear if a Bike can Turbo Boost when a unit Runs and there’s a lot of people that say that means a Calvary unit with a Bike cannot do anything but shoot in the shooting phase. It’s been ruled both ways in tournaments that I’ve seen, but it’s something to ask the Tournament Organiser before you start an argument.